6th Annual Medical/Legal Consulting Conference is organized by MD Business Consultants, LLC and will be held from Apr 27 - 28, 2019 at The Westin Denver International Airport, Denver, Colorado, United States of America. This CME Conference has been approved for a maximum of 15 AMA PRA Category 1 Credits. 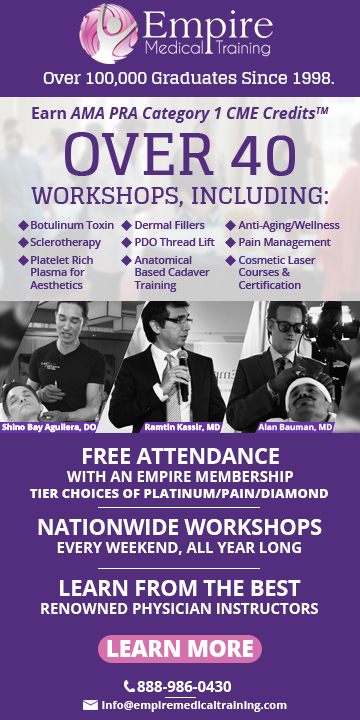 2-Day Comprehensive, Practical, How-To Conference that gives you the practical tools, training and information to start and profit long-term doing non-clinical medical consulting. There’s a new kind of Medical/Legal Consulting. 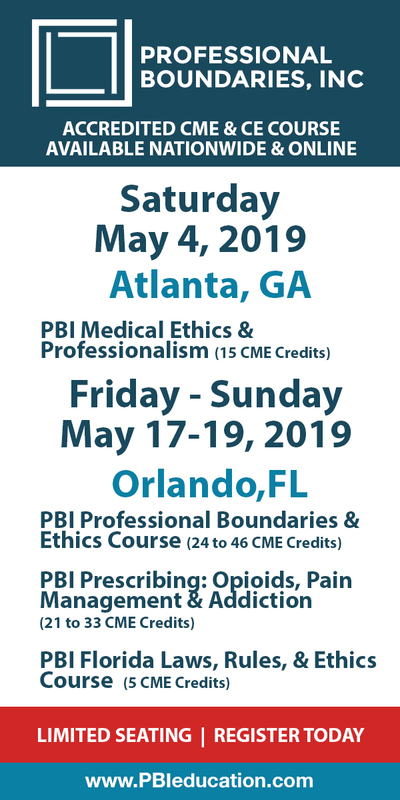 The timing of last year’s conference could not have been better with the changes in medicine and now it’s even more critical to attend this year’s conference as Medical/Legal Consulting is fast becoming a new dynamic sub-specialty. What is included in the conference? : • Inside Info on the Workings of Attorney Offices • Insight & Plan to Add Non-Clinical Consulting to What You Already Do • Complete Step-by-Step Business Launch Plan • Complete Step-by-Step Easy Marketing Plan • Complete Day-to-Day Business Operations Plan • Training to Contact Attorneys • Strategies to Meeting Face-to-Face with Attorneys • Video & Live Training on Meeting Face-to-Face with Attorneys • Training on Writing Great Medical/Legal Reports • Case Study Reviews of Common Medical/Legal Consultations • Case Study Workshop • Interaction with Physicians Using the Medical/Legal Consulting • Business System • Training on Understanding Personality Types for Business • Complete Take-Home Business Manual • Much, Much More Additional details will be posted as soon as they are available. 5th Myeloma Workshop is organized by The University of Texas MD Anderson Cancer Center and will be held from May 02 - 04, 2019 at The Brown Palace Hotel and Spa, Autograph Collection, Denver, Colorado, United States of America. Additional details will be posted as soon as they are available. Improving Inter-Professional Communication is organized by Center for Personalized Education for Physicians (CPEP) and will be held from May 02 - 04, 2019 at CPEP - The Center for Personalized Education for Physicians, Denver, Colorado, United States of America. Description: The three-day Improving Inter-Professional Communication: Working Effectively in Medical Teams course is designed for healthcare professionals whose communication and/or behavior has been identified as detrimental to medical team interactions. This course will help participants gain insight and develop strategies and skills to improve communication and collaboration. Additional details will be posted as Soon as they are available. Clinician-Patient Communication Course is organized by the Center for Personalized Education for Physicians (CPEP) and will be held from May 02 - 04, 2019 at CPEP - The Center for Personalized Education for Physicians, Denver, Colorado, United States of America. Description: Advanced Skills in Clinician-Patient Communication is designed to help clinicians refine and enhance their patient communication skills. The 2.5-day program provides education and opportunities to practice new skills with simulated patients Additional details will be posted as Soon as they are available. Lower Extremity Interactive Educational Program (IEP) - Fellows, Residents and Young Surgeons' Course is organized by Bespa Global and will be held from May 03 - 05, 2019 at History Colorado, Denver, Colorado, United States of America. The target audience for this medical event is open to US-Based Fellows, Final Year Podiatric Residents, Course Alumni, and Young Surgeons in their first three years of practice. Course Description: This course is designed to educate Lower Extremity Fellows, Residents and Young Surgeons on the current topics pertaining to the practice of foot and ankle surgery as well as to assist attendees with the transition from academics to practice. The format of the course is highly interactive - all sessions conclude with question/ answer sessions and panel discussions. Attendees also participate in didactic sessions with course sponsors. Additional details will be posted as soon as they are available. HANDS-ON Navigating the World of 3D Imaging is organized by Metropolitan Denver Dental Society (MDDS) and will be held on May 04, 2019 at Metro Denver Dental Society & Mountain West Dental Institute, Denver, Colorado, United States of America. This Conference has been approved for a maximum of 6 Credits. Description: While 3D technology (cone beam) is a huge benefit to the patient and practice, proper implementation is essential. Review best practices that accelerate the rewards and minimize the frustration and workflow disruption within your practice. Through lecture and hands-on learning, understand the proper utilization of 3D imaging within a general dentistry practice. Learn correct indications and contraindications for 3D imaging. Gain a basic knowledge for reading 3D images – key landmarks, normal vs. pathological and when to call in additional assistance. Finally, discover how to properly evaluate the return on investment for 3D imaging in your practice. Objectives: • Learn the proper implementation and utilization of 3D imaging within your practice. • Learn the proper indication and contraindications for 3D imaging. • Learn basic head and neck anatomy including key landmarks. • Evaluate the return on investment for 3D imaging in your practice. Additional details will be posted as soon as they are available. 3rd Annual EPIC Diabetes Conference is organized by Children's Diabetes Foundation (CDF), Barbara Davis Center for Diabetes (BDC) and will be held on May 11, 2019 at The Westin Denver Downtown, Denver, Colorado, United States of America. Description: This conference is an interactive opportunity to connect with other people affected by type 1 and type 2 diabetes and learn from Colorado’s top diabetes specialists through presentations, Q&A sessions, and panel discussions. This year’s conference features 3 tracks: pediatric, adult, and advanced. Each workshop session will include a 15 minute presentation by the speaker(s), followed by 45 minutes for questions from attendees. Additional details will be posted as soon as they are available. Treatment Planning Functional Esthetic Excellence Dental Course is organized by The Dawson Academy and will be held from May 16 - 18, 2019 at Metro Denver Dental Society & Mountain West Dental Institute, Denver, Colorado, United States of America. The target audience for this medical event is General Dentists, Lab Technicians. This Conference has been approved for a maximum of 20 CE Credits. Course Description: This dental ce course provides a programmed approach to predictably diagnose and treatment plan both simple to extremely difficult cases. Utilizing the standardized records discussed in our dental courses Functional Occlusion- from TMJ to Smile Design and Achieving Predictable Esthetic Results each dentist will discover how to visualize optimum dentistry from an esthetic, functional, biological and structural perspective. You will learn to apply the four treatment options: reshaping, repositioning, restoring and surgical correction, which are a critical component of step-by-step dental treatment planning checklists. The focus of this continuing dental education program is to integrate a comprehensive dental treatment planning process into your practice. Recommendations based on best practices are discussed to help assist you with organizing your busy schedule and a creating a space for optimum treatment planning. How to present your treatment plan will also be discussed as well as many other aspects of procedures and materials. Course Objectives are: • Establish a step-by-step process for treatment planning any restorative case, from the simplest to the most complex. • Explore why 90% of mistakes occur not during the restorative phase, but rather during the treatment planning process. • Plan and visualize ideal esthetics and ideal function. • Discover the need for/value of quality records. • Master all of the critical checklists used to treatment plan every case. • Investigate how the teeth should be positioned in space for optimum esthetics, phonetics and function. • Identify specifically how to utilize the diagnostic photographs in conjunction with mounted diagnostic models to visualize an optimum course of treatment. • Work on actual study casts to apply these concepts. • Develop an ideal, efficient and profitable treatment sequence for each case. • Create a segmented treatment plan so that optimum care can be delivered over a longer period of time. • Organize your schedule and create a treatment planning process within your practice. Additional details will be posted as soon as they are available. Wilderness Medicine First Responder Recertification Course is organized by National Outdoor Leadership School (NOLS) and will be held from May 16 - 18, 2019 at Regis University, Denver, Colorado, United States of America. Continuing Educational Units: • 18 hours of EMT CEUs available at no additional cost • Up to 14 hours towards the Wilderness Medical Society’s Fellowship of the Academy of Wilderness Medicine at no additional cost • Category 1 CMEs for physicians not available • Central Wyoming College credit not available • University of Utah credit not available • 1 semester credits available from Western State Colorado University for an additional fee of $80 Course Description: Review, practice, and stay on top of your skills with NOLS Wilderness Medicine's Wilderness First Responder Recertification Course. This scenario-based approach to recertification provides the opportunity to test your skills against realistic situations. You will practice and relearn wilderness medicine protocols, review evacuation and decision making guidelines, and receive the latest curriculum updates over the course of three days. You are required to complete both written and practical testing to recertify on this Recertification course. To achieve a passing score (70%) on the written multiple-choice exam, you must review previous course materials. Please come prepared. Minimum age: 16 Additional details will be posted as soon as they are available. Colorado Legal and Ethical Issues for Mental Health Clinicians is organized by PESI HealthCare and will be held on May 17, 2019 at Holiday Inn Denver-Cherry Creek, Denver, Colorado, United States of America. This CME Conference has been approved for a maximum of 6.25 clock hours. Target Audience • Counselors • Social Workers • Psychologists • Case Managers • Addiction Counselors • Therapists • Marriage & Family Therapists • Nurses • Other Mental Health Professionals Course Description: Join Susan Lewis, psychologist and attorney, for this must-attend seminar that will prepare you for litigation issues which can put your clients, your license and your practice at risk. You will learn how to structure your practice to limit exposure of risk, as well as discover simple records, notes and actions that will protect you in the event of a complaint. Susan will provide you with the following take-home tools to minimize risk: • Updates on HIPAA and Colorado laws and regulations • Risk management strategies • How to avoid litigation dilemmas, complaints and malpractice actions • Best practices in the professional relationship, informed consent and office policies You will learn through problem-solving discussions that are representative of actual ethical decisions you encounter in your clinical practice. The blending of Susan’s experience as a lawyer, work within the court system and extensive clinical experience makes her a hands-on, knowledgeable instructor! Objectives: • Communicate how to avoid litigation dilemmas, licensing complaints and malpractice actions. • Explore the legal and ethical considerations for the treatment of minor populations in Colorado with regard to age of consent, confidentiality and custody concerns. • Communicate how an understanding of common boundary and dual relationship issues/dilemmas can help you maintain appropriate relationships with your clients. • Recognize ethical challenges you should consider when responding to subpoenas that request disclosure of client records. • Analyze the limits of confidentiality as it relates to duty to warn law in Colorado. • Articulate how risk management strategies regarding technology can keep client information secure and avoid violating HIPAA. Additional details will be posted as soon as they are available.